used, when it is appropriate and what protocols are used for Federation. introduced and explained at a high level. used for Federation in the Fedora Infrastructure. Authentication and access control are well-supported on the operating system level by projects like FreeIPA and sssd, including integration with Active Directory. Users can then authenticate once, and access machines within their organization without being prompted for password again. But how about web applications? In this talk we will look at Apache modules that allow the single-sign on with central access control and identity services to be used for web application as well, building on top of the same bits that are already proven to work well on the OS-level, rather than reimplementing all the parts again. Multiple web projects and products have already been enhanced to take advantage of this setup so demo is more than likely. Brief introduction to replicated LevelDB. It's advantages over other master slave messaging configuration and short demonstration of configuration JBoss Fuse with replicated LevelDB store. The network configuration requirements of computers powering cloud infrastructure are very different to the traditional way of how the network is set up. The existing Linux kernel features are often not enough for this task and projects like OpenStack use the existing features to their very limits, sometimes even over them. New projects have been started to deal with this; a most prominent example is Open vSwitch. However, despite the quick pace of development, there is still lack of needed features on the kernel part. This leads to creative usage of combinations of the currently offered kernel features, leading to very complex undebuggable configurations. If you log in to such machine, you find tens of virtual interfaces and name spaces with strange non-obvious relationships between them. The talk will present a few possible ways to get out of this. A new tool, plotnetcfg, that allows easier overview of the network relationship will be shown. The workarounds that are deployed by cloud platforms (as seen in the wild) will be explained and corresponding missing features in the kernel will be identified. How to implement them is in many cases an open problem; some possible solutions will be discussed. Interestingly, Open vSwitch may not be an answer for everything. While the core OpenStack components provide good tools to manage the infrastructure, handling more complex scenarios, like for example the set of machines required by Data Processing toolkits (Hadoop) requires a bit of manual intervention. Sahara, a recently-integrated component of the OpenStack project, can manage such kind of resources by leveraging the existing OpenStack components (Nova for instances, Glance for images, Swift for data storaga, Heat for orchestration, etc). Initially targeted to support Hadoop distributions, thank to its modular plugin-based architecture Sahara gained support for other processing model, like Spark and Storm. The goal of the presentation is to introduce the concepts behind Sahara, its integration with the rest of OpenStack ecosystem and a brief demo of its functionalities. Working on OpenStack Sahara as Quality Engineer. Long-term Free-as-in-speech-Software enthusiastic, FSFE Fellow, KDE translator and contributor. * forking of the environment for new/different languages and projects I am definitely one of those people and have found various techniques over the years to attempt to solve these problems but none of them quite do it. Unfortunately, I think the needs of developers are somewhat unique and most tools and techniques are targeted at "general users" or "servers" whereas developers are somewhere between the two. As a result, I have been working with a few others on a proposal and some early software to try to meet these needs. We have been wrapping the proposal around containers because of their "out of the box" universality, portability, snapshotting, and forking. I would like to present where we are, what we plan, and invite feedback. Windup is a tool to simplify Java application migrations. The tool analyzes application artifacts (such as Java code, JSPs and XML) and produces an HTML report highlighting areas that require changes. Windup is, simply said, an executor of the rules that are registered. The project is packed with the main bundle of rules, however you can easily register your own, newly created rules. In the presentation we will discover how the windup works underneath and how you can easily provide your own rules. In September 2014, internet was rocked by a widespread security flaw called shellshock. It seemed to affect everything from web servers serving CGI, to dhcpclient etc, and even some satellite television settop boxes. The presenter was responsible for ensuring Red Hat / Fedora and its customers/users were protected against this. Red Hat not only pioneered the patch which was used, but also provided guidance to other distros/upstream. GlusterFS is a distributed scale-out filesystem that runs on commodity hardware. In this session, Vijay Bellur will provide an architectural overview of GlusterFS and discuss how its file, object & block interfaces can be used to build a scale-out storage solution for modern datacenter needs. Details on new features , use cases and interesting challenges with GlusterFS will be provided. As part of this session, Vijay will also discuss integration of GlusterFS with other open source ecosystems like OpenStack, oVirt, Apache Hadoop and provide future directions of the GlusterFS project. Come and learn about DevAssistant (http://devassistant.org/), how it utilizes Docker and how you can create, build and run a full development environments in two lines of shell. I am working in Red Hat Brno office in kernel performance team for last 3 years. This workshop is intended to give a quick start with jBPM and help users to decide which approach is most suitable for their needs. DNSSEC has been here for some time. But what it means to deploy it on the server? What is needed to keep your domain secured? There are a lot of manual and semi-automated tasks administrators need to do. This is where FreeIPA steps in and makes the deployment and maintenance of DNSSEC signed zone easy as few clicks in Web UI. Once you deployed DNSSEC on the server side, there is still some work to have your clients secured, too. Especially when using public hot-spots and networks, you should use secured DNS to eliminate man-in-the-middle attacks. In the lab we will briefly explain how DNSSEC works. Afterwards we will deploy a signed zone using only BIND and also BIND + FreeIPA combination. We will show how FreeIPA can ease your pain with DNSSEC deployment. In the end we will try out the DNSSEC from client side using dnssec-trigger and unbound server, to keep you secured at all times. 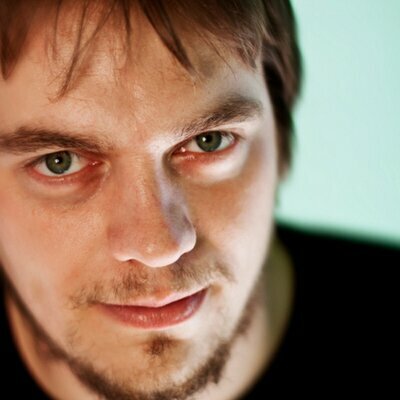 Petr is a Software Engineer at Red Hat, mainly focused on DNS and its integration to other systems. Petr’s goal is to make DNSSEC deployment as easy as running one command. Smart Card support has been available in RHEL and Fedora for over a decade now, but it's still often a mystery to users and Developers. In this talk I'll lay out what are the various pieces that make up a smart card deployment, explain several of the various supporting standards, and look at where some of the smart card support is leading to in the future. Schedule of lightning talks will be announced 1 hour before start of the session. Pick ticket at Red Hat Booth and check www.devconf.cz for directions. Party starts at 7pm and ends at midnight! Learn how to start with lightweight, reproducible, and portable development environments with Vagrant, and about the status of Vagrant packaging for Fedora and derivatives. How do I implement centralized authentication? So you are running a big open source project with a wiki, source and release management systems, build system, and probably much more, and you want to avoid having people maintain different passwords for each and every one of the services? In this talk, I will discuss different approaches to get around this, and their pros/cons, based on real-world implementations. Each project is unique in its own way. It becomes difficult at times to follow any set rules when choosing tools/technology for testing; Instead we tend to keep few key points in mind while making such a choice. In this talk I will cover some of these key points you can consider before you decide your testing curve. It requires you have a clear understanding of your goal wrt testing. Brief overview of the testing pyramid will help you slice your tests. I shall help you in finding out the tools/technologies you can choose to test backend, frontend, API, et al. I will be covering some of the key comparisons in tools like Selenium, Capybara, Watir from my personal experiences. Also, how BDD/BDT(using Cucumber) gives you an edge will be covered. Integrating your tests with any CI system is easy with minimal configurations. Don't you think you should test the right things the right way. I have been working with Red Hat for more than four years now. I handle most of the QA responsibilities at work and enjoy doing test automation. In this presentation we would like to build some backgrounds by briefly touching the basic topics regarding application performance testing. * What are some critical aspects of performance testing? * What should a modern performance testing tool do for you? Next we will set the requirements from a real world use case and implement a performance test in a user friendly way in a live demo. You will also see some unique algorithms, smooth DSL integration using Groovy, and extensibility of PerfCake. In this session Yaniv will give introduction about the oVirt and Foreman projects. The session will focus about advanced and enhanced integration between those products in order to ease deployment of Host to an Hypervisors and provision VMs in a Virtualized environment. Yaniv will describe how oVirt leverages Foreman functionality to provision bare-metal hosts or add existing ones as oVirt hypervisors. How we plan to extend that in order to provisioning VMs, configure existing hypervisors with repositories and advanced abilities and a lot more. The talk aims anyone who interested in managing a Virtualized Data-Center using high-end open source technologies. Attendees can expect to get an introduction to oVirt and Foreman, and how they can use the two in order to build and deploy their Data-Center easily, while empowering the hardware they use. In this hands-on lab, attendees will create a Java EE application that uses most of the Java EE specifications (JPA, Bean Validation, CDI, JSF, JAX-RS...) and test it (JUnit and Arquillian). From a white sheet, JBoss Forge will help you to quick start it and add extra features to, finally, end-up with a fully functional application. Original Security Development Lifecycle (SDL) has been developed in closed-source environment for software companies. Open Source development challenges many assumptions of SDL which is, as such, unsuitable in many usecases. Jan works in Product Security team at Red Hat focusing on proactive security. Using an application is easy. Testing it should be easy as well. However, testing scenario has external dependencies that differ on various platforms, take long time to setup and often test scenario itself does not provide enough flexibility and re-usability. In this session, you will learn from our failures. You’ll see how Arquillian Spacelift helps you to bring tools you need for the test execution and lets you to define complex test scenarios that can be easily executed in CI and reproduced locally with zero setup required on a local machine and why we consider this approach superior to our previous attempts. You will also have a chance to see a live demo for mobile application test. And you would be able to reproduce the test on your machine! Do not spend time with configuration any more, skip right to writing test scenarios that run from both CI and local machines out of the box. requested features like SSO or proper multi-domain setup. In this session we will take a look at new extension API introduced in oVirt 3.5.
allow SSO for UI and API part of oVirt. On this workshop we will navigate through how NIC drivers works and, after that, we will focus on how bonding internals work to clarify some pitfalls, like on why mode=5 doesn't work with virtualization. Over the past year, GTK+ has grown a new debugging tool, GtkInspector. My talk will present this tool in depth, with some live demos. I also intend to cover new widgets in GTK+ and glade, as well as some more advanced topics, like using templates and resources to structure your code and custom css to tweak the appearance of your application. Mobile world does support testing, but it brings many obstacles along the way. Let's look at some of them in detail and discuss possible solutions. This talk will also cover mobile testing tools we developed in Mobile QE at Red Hat like Arquillian Osmium and Arquillian Droidium. In this hands-on lab, attendees will create a real usable add-on for JBoss Forge. The purpose of this add-on is to give users support for adding auditing capabilities to JPA entities with Hibernate Envers. The learned techniques are of course applicable to any of your favorite frameworks for which you want to build a better user experience. The lab also illustrates how the created functionality is available in your favorite IDE as well as in the form of CLI commands. Wouldn't it be nice if you could install your app on any distro? In a secure, sandboxed way that allows you to keep running older apps mixed with apps that require newer libraries, and on newer distribution versions. This is the goal of the Gnome SDK. It constists of a platform work to make sandboxed applications possible, a stable runtime that apps are deployed against, and a SDK that makes it easy to develop apps against that runtime. Come and learn about the future of application deployment in gnome. Alexander Larsson has worked at Red Hat the last 17 years, working on | projects like Gnome, GVfs, Gtk+, and docker. Recently he has spent | most of his time working on Flatpak. The SoS project has been helping engineers debug and resolve problems remotely for nearly a decade. This talk will look at the history of SoS and related tools, current and future development and the state of the project today including how the team is adapting to today's trends in containers, virtualisation and cloud computing. Do you run automated tests for your software, or do you wish you could? Do you need to test on multiple Linux distros or multiple hardware platforms (including those pesky non-x86 architectures you won't find in the cloud)? Or maybe your tests need exclusive access to a physical machine or VM? Beaker is an integration testing system where every job has exclusive access to one or more freshly provisioned machines. Its unique features include fully customizable installations at the start of the job, detection of kernel panics and installation failures, and support for coordinating tests across multiple hosts in a single job. Beaker is an open source project originating out of Red Hat's unique needs for operating system-level and kernel-level integration testing. If you're already an experienced user of Beaker, come along and share your tips and experiences with other Beaker users, and maybe you will learn about some Beaker features you never knew about. Everything about virtualization on secondary arches (s390, ppc, aarch64, ...) such as testing KVM on s390, hacking on virt-manager to add support for installing s390x/ppc/... guests, work on Kimchi (web based virt mgmt) package review and functionality, gnome-boxes and many more. For Wayland compositors new unified userspace input handling code has been developed in the form of libinput. libinput fixes a number of shortcomings of the traditional Xorg input drivers, esp. where it comes to touchpad support. This presentation will discuss the plans to move Xorg to use libinput too through an input driver called xf86-input-libinput, as well as the status of this move. xf86-input-libinput is scheduled to be the default Xorg input driver for Fedora 22.
tricks to automate building GlusterFS clusters. Most notably during the last years, there has been a increase in the complexity of human-computer interaction. Nowadays the growingly common multitouch touchpads and touchscreens are pushing the expectations on the desktop and applications. The talk will cover various tips how to improve your CI (and eventually CD) workflows with Docker. Jenkins CI and its Docker plugins will be used for practical demonstration of some proposed approaches. SW engineer at Red Hat. In this workshop I'll walk developers through starting their own kubernetes 'cluster'. Discuss infrastructure requirements for getting a scalable cluster. And will walk them through managing docker containers on their Kubernetes cluster. We will exercise all of the basic Kubernetes primitives and attendees should be able to leave the class connecting their own applications using the features provided by Kubernetes. This session will detail the current hardware and software plans around the OpenPOWER Foundation -- a fast growing collaboration between IBM, Google, Nvidia, Mellanox, Tyan, and others. If you've got interest in Linux on Power and want to have deeper insight into how IBM intends to grow our ecosystem, do not miss this talk. Linux Containers have quickly emerged as key open source application packaging and delivery technologies, combining lightweight application isolation with the flexibility of an image-based deployment method. In this session, we'll cover how OpenShift engineering has re-architected OpenShift V3 and collaborated with both the Docker & Google Kubernetes projects to build out the next generation of PaaS today. 4) Lowered development costs, as enterprises need only develop, test and certify applications against a single container runtime. (3) how Red Hat's OpenShift PaaS orchestrates source code deployment and centralizes management to leverage these technologies for the benefit of developers and administrators alike. Starting a new community project is sometime a easy task, like creating a git repository on some popular services and be done with it. And sometime, the limitation of the simple approach are immediately visible and you need your own infrastructure to make sure your project grow in the right direction. This talk will be about using ansible to manage your own infrastructure, but with a twist, ie doing it in the open in a true community way. We will see the various pitfalls to avoid ( and lessons learned the hard way ), the example of potential deployment architectures and discuss various ways to ease the onboardong of new community members in the project. Michael Scherer works on the Open Source and Standards team, focusing on infrastructure issues. During this talk, we will see the challenges behind using such expressions (hint: this includes reading bytecode! ), and we'll see how this can be integrated with the MongoDB java driver to submit queries in The native BSON format on the datastore. In this talk we present brand new GUI testing framework aiming for robustness and ease of use. Similar to Sikuli and OpenQA, the tool can automatically perform actions against any GUI using advanced image processing and character recognition, specifically crafted to allow automatic installation testing of Fedora releases. Building and programming walking robots is easier to start than it may seem, and lots of fun. You won't build another Boston Dynamics Big Dog or MIT Cheetah, but you can easily build a simple bipedal Bob robot, or make a stuffed toy sheep walk around on four legs. I'm going to show several robots that I have build, and give some hints for building your own. A founding member of the Nigmalabs hackerspace in Poznań, Python programmer and enthusiast, author of the Hatta wiki engine. Working at Red Hat on OpenStack. delivering the CentOS Linux distribution to a full service platform. a vehicle for your projects success. Fedora Workstation brings various online services closer to the desktop. This talk will focus on Google and ownCloud - two popular service providers that are well integrated in Workstation. Bodhi2, MirrorManager2, progit, FAS3, anitya, the-new-coolness... What's going on in Fedora infra? The Fedora Infra folks have been working on a number of projects over the last year, some you have probably heard about, other likely not. In this talk, I would like to present you what we have been doing, what is in progress and what we have in mind for the coming year. This is of course not only a list of things worked, planned or in progress but also an invitation for anyone in the room to come, find a project they like and join us in making it real or better. Fedora 21 Server was recently released into the wild. Come join us and learn a bit about what Fedora Server has to offer and where we see it going in the future. Principal Software Engineer at Red Hat, Inc. I have spent the last ten years working on various security and platform-enablement software for Fedora Server and Red Hat Enterprise Linux. Traditionally network access control (NAC) has lacked endpoint assessment in its decision making. This lack of assessment can leave an enterprise's network vulnerable to malicious attacks. Trusted Computing Group (TCG) and IETF have defined an open architecture called Trusted network connect (TNC) to fill this gap. TNC, as part of its architectural components, includes integrity measurement collectors (IMCs) at network endpoints and integrity measurement verifiers (IMVs) at enterprise's network to evaluate and verify the endpoints against the enterprise policies before allowing network access. 1) What is end point assessment and why it is needed? 2) Why existing NAC technologies are missing end point assessment? 3) TNC architecture and how it can help with end point assessment? 4) What open source tools can be used to deploy TNC? Package maintainers have to do a lot of manual tasks when new upstream version of a package is released. We identified that a lot of these tasks can be fully (or at least partially) automated to assist the maintainer. The rebase-helper is the tool to help package maintainers in various distributions with automating most of the tasks related with the package rebase. We intend to integrate the tool with Fedora infrastructure and Upstream Release Monitoring in the future, to help with assessing the difficulty of package rebase. Openconnect is a relatively new VPN solution. It started as a clone of CISCO's anyconnect VPN server, but it has now surpassed that role and provides a reliable VPN solution with a very conservative security architecture. This talk will address the question on the need for a new VPN solution given the plethora of open source VPN solutions, the distinctive features and capabilities of openconnect and an insight on the current development status. Nikos Mavrogiannopoulos the manager of the Red Hat crypto team. He is a hand-on person with academic background, and is a contributor to several open source projects. Open Build Service is an open source project to build packages and even whole distributions. It is mainly used by openSUSE, but also by Tinzen and others. Talk will start with generic overview of what it can do, what are the strong sides, mention few weak sides and also some of the ugly hacks that we use in our (not related to openSUSE) project. Also just for the fun of it, we tried to recompile whole CentOS on OBS to see how far would it go with minimum effort, so results of this simple experiment will be part of the presentation. Great opportunity to get involved in defining Fedora future and to meet some of the members of Environment and Stacks working group to consult various topics with other Fedora friends. Topics may relate to dynamic languages, other kinds of stacks, testing, continuous integration, other ideas listed at http://fedoraproject.org/wiki/Env_and_Stacks/Tasklist or whatever you wish. Come and tell us your story, issues, requests or ideas. A panel talk with Fedora Council members to close out the Fedora day at DevConf.cz. Brief comments from each member, and then Q&A from the audience.